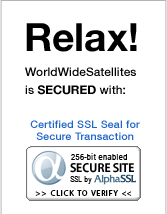 WorldWideSatellites.com are official dealers of the Traxis receivers. Full Warranty offered on Traxis products. The New Traxis DBS 6000 HD is one of the smallest High Definition Free to Air receivers on the market today.